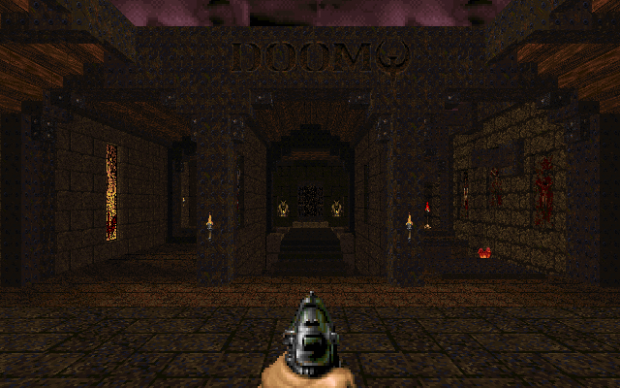 Dimension of the Boomed is an short episode for Doom II in the style of Quake. It includes 7 playable maps, designed in Boom format, with custom monsters and effects. Intended for single player or coop. how do i start like in the picture? each time i start the mod i am already in a level that look similar to quake but when you use the elevator it is totally different.